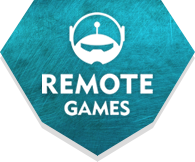 Remote Games is a start-up founded in 2016 by a team of people with a shared vision. Our idea is a new game concept using remote-controlled robot technology. We have created a gaming platform allowing real robots to be controlled over the Internet. The game takes place in arenas that can be located anywhere in the world. In addition to the software, we are developing and building a variety of robots and other devices. We truly believe that our up-to-the-minute gaming concept will find a multitude of devotees throughout the world. The game arenas can be almost anything, from a Mars colony to a cave expedition. Our first arena, ISOTOPIUM, lets players enter the closed zone of Chernobyl. 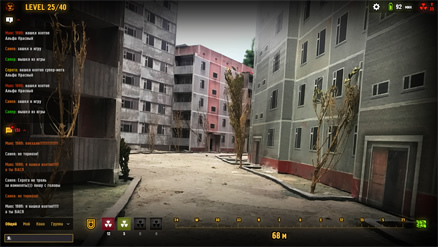 Players will solve puzzles, collect radioactive isotopes, explore the hazardous ghost town of Pripyat, take part in contests, and fight for survival. The arenas will all be linked, with players able to teleport into other worlds in an instant. What's more, anyone can build their own world in their basement or garage. We invite interested parties to create their own arenas on a franchise basis. We will take care of building and supplying the robots, providing access to the platform and payment systems, technical support, and maintenance. It took us two years to get from the concept to our first remote-controlled robot. Our team had to solve complex problems involving processing and transmission of video and control signals via the Internet with minimum latency. The latest accumulator batteries, as used by Tesla, maximize the time our robots can keep going. Our servers are ready to withstand practically any player load. We build all our robots ourselves using 3D printing and casting. The electronic components are not tied to a single manufacturer. The heart of each robot is a computer running the Linux OS, giving the robot practically unlimited gaming possibilities.